Today we searched Professional WordPress Hosting Themes for our website and found that lots of corporate style are being used which suited for web hosting business. Hosting themes are for Web hosting providers who sell their server online with combination of WHMCS billing software and WordPress as Information Site for buyers. 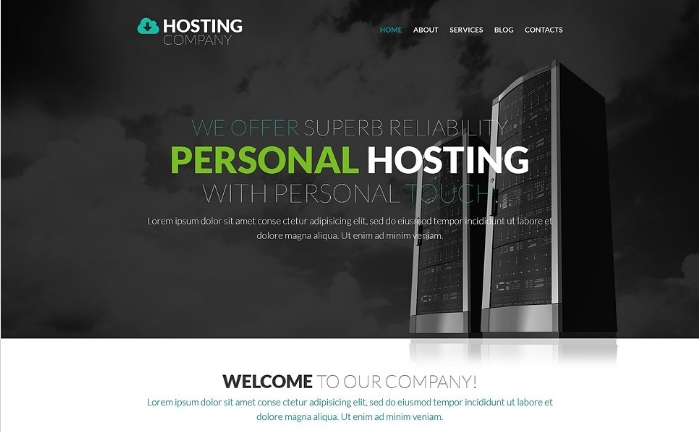 To launch a perfect hosting service, you need to build a website with professional looking to make your clients confidence with your hosting company. WordPress is powerful CMS for any information site and SEO competitive content mangement system so making your site live on this cms and making a bridge with WHMCS can be very easy for your company. 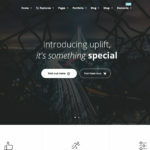 These themes are high quality, use this premium hosting WordPress themes to convince owners of start ups with lots of feature and element layout. 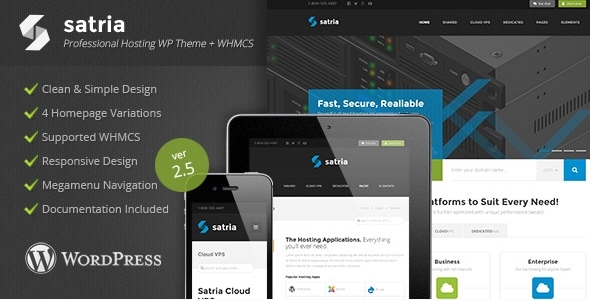 Satria is Professional Hosting WP Theme. Suited for Web Hosting business / corporate web sites but it can be used for every type of web site with some modifications. 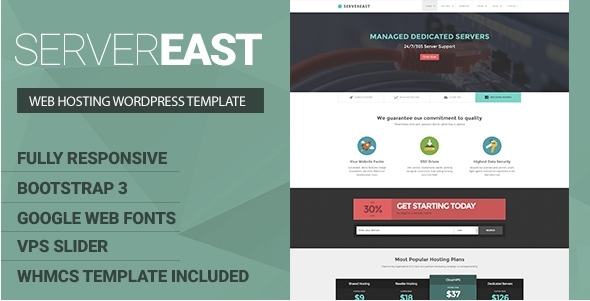 ServerEast is an Elegant wordpress hosting theme, It’s fully compatible with WHMCS-Bridge, Visual Composer and WPML plugins which connect between WordPress and WHMCS, ServerEast is suitable for Hosting websites aswell as Company, Agency or Organization. 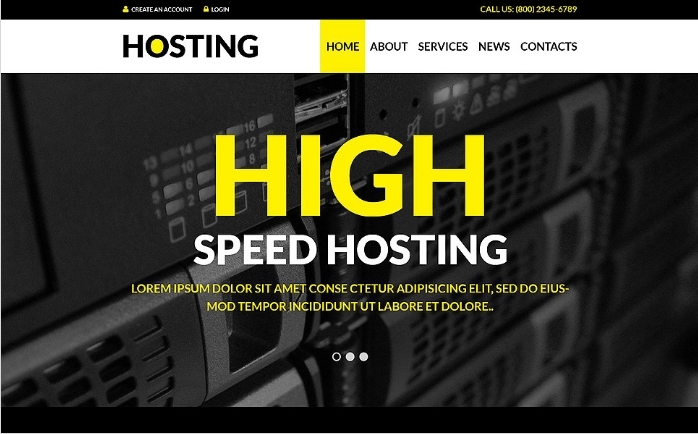 Hosting – wordpress hosting theme was built having in mind the needs of WordPress developers and consultants putting together websites for their clients. It has everything you need to quickstart a new project. 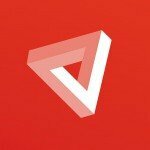 – It impress your audience with clean, safety aesthetic. 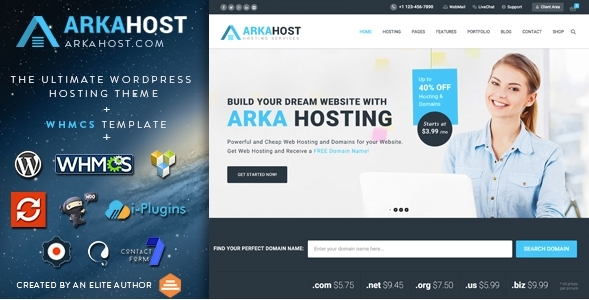 Arka Host is a Responsive hosting WordPress theme (Desktop, Tablet, Mobile Phone…) WHMCS Hosting Theme and Corporate Theme. 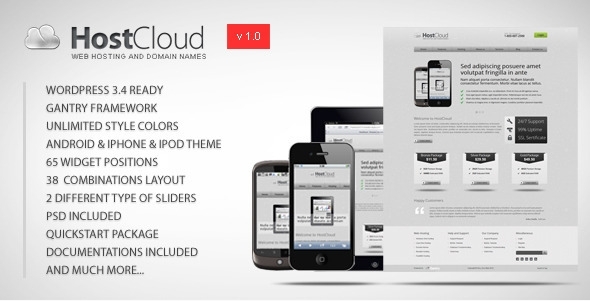 With the design has been created by Elite Authors, It’s Simple, Clean and Professional Theme. 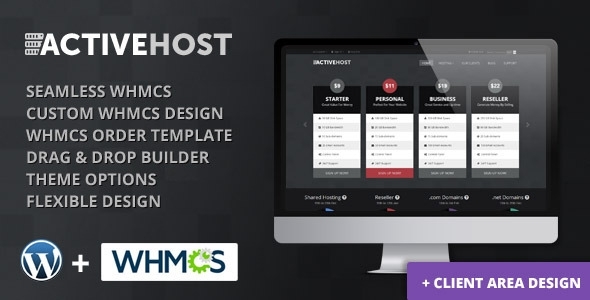 NRGhost provides one page and multipage Responsive Domain and hosting WordPress theme integrated WHMCS. Minimalist Flat Design. Highly customizable code. Sections includes Features, Testimonials, Partners, Pricing, Sign in, Sign up, Domain Search, Contact etc. 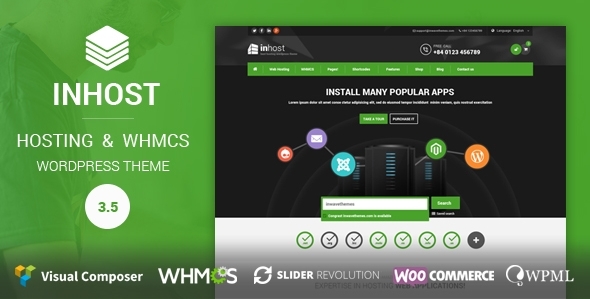 Inhost – a powerful corporate WordPress theme provides you with immense application to any website you are going to create. 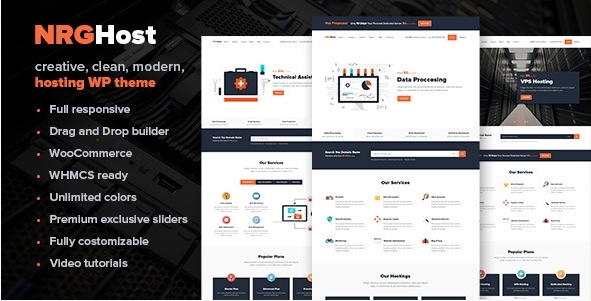 Aox Host is a clean, modern and creative Hosting WordPress Theme for your Web Hosting Business, a creative agency, Technology Websites or any company website. 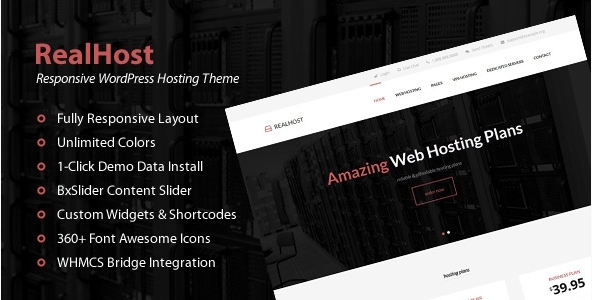 WebHosty is a sweet, modern and creative wordpress hosting theme for host provider websites and other similar nature of websites. 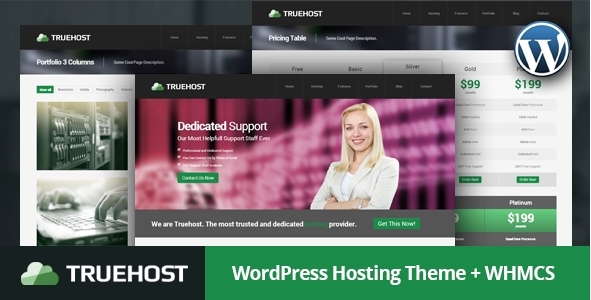 Truehost is an Elegant hosting WordPress theme, It’s fully compatible with WHMCS-Bridge plugin which connect between WordPress and WHMCS, Truehost is suitable for Hosting websites aswell as Company, Agency or Organization. 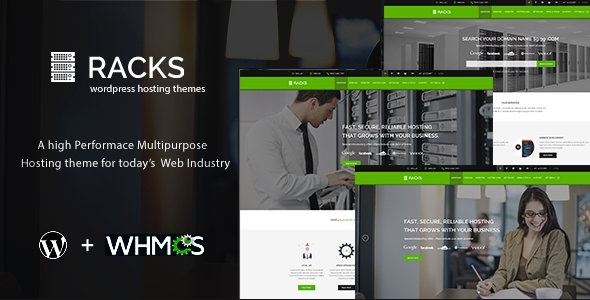 Racks is a clean, modern web hosting and server businesses theme. 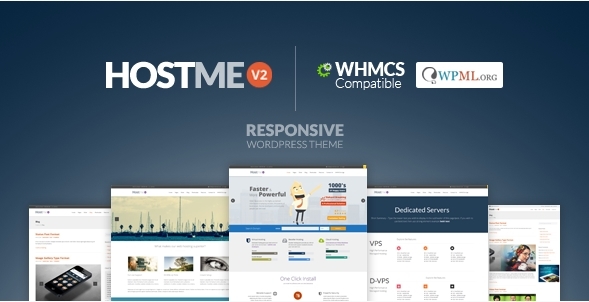 It’s fully compatible with WHMCS-Bridge plugin which connect between WordPress and WHMCS. 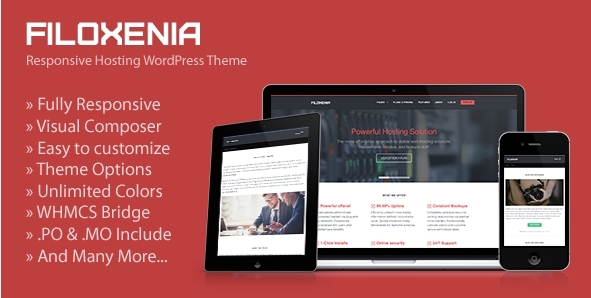 Filoxenia Host is a clean, modern and creative wordpress hosting theme for your Web Hosting Business, a creative agency, Technology Websites or any company website!. 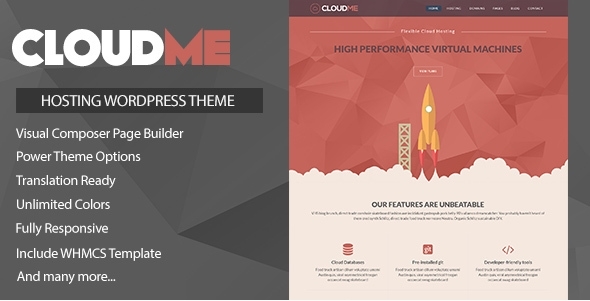 This hosting WordPress theme is designed in high tech style, which can be a perfect fit for hosting businesses. 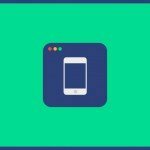 Bright logo, icons, buttons and text opposed to a decent background were designed to catch users’ attention. 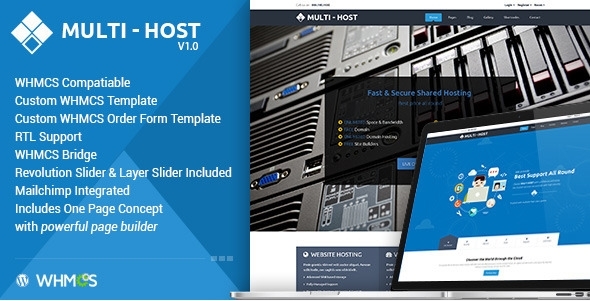 Multi Host is a powerful wordpress hosting theme for hosting site. We have dedicated our best efforts almost 200+ hours in making this theme. 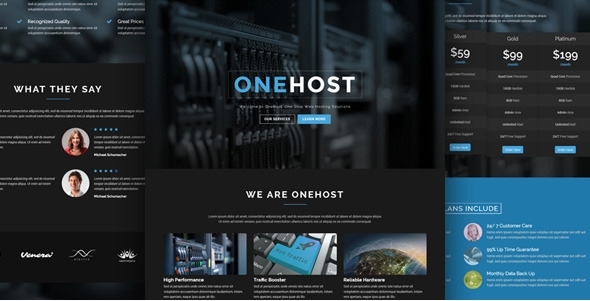 Onehost is an Elegant WordPress hosting theme design layout for hosting, It’s fully compatible with WHMCS-Bridge plugin which connect between WordPress and WHMCS, Onehost is suitable for Hosting websites aswell as Company, Agency or Organization. 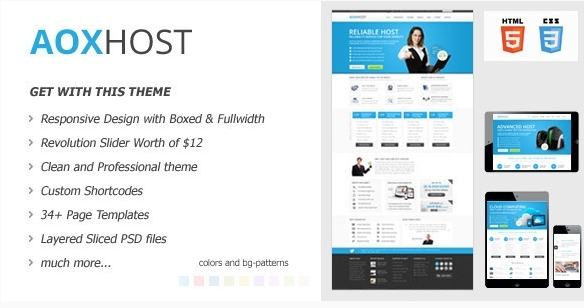 Active Host is a flexible and feature packed hosting theme for WordPress. It is easily customized using the free beaver builder drag and drop plugin. 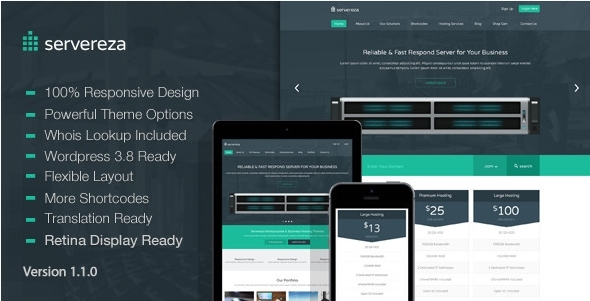 RealHost is a responsive WordPress hosting theme perfect for any hosting provider. 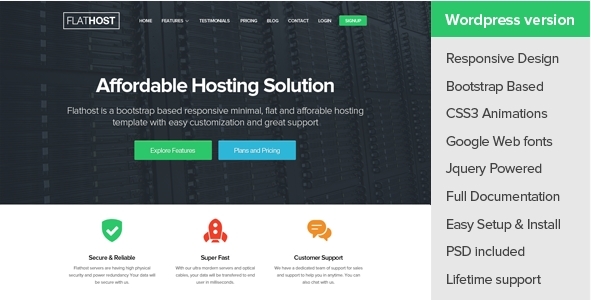 ALASKA is an Elegant hosting theme, It’s fully compatible with WHMCS-Bridge plugin which connect between WordPress and WHMCS, ALASKA is suitable for Hosting websites aswell as Company, Agency or Organization. 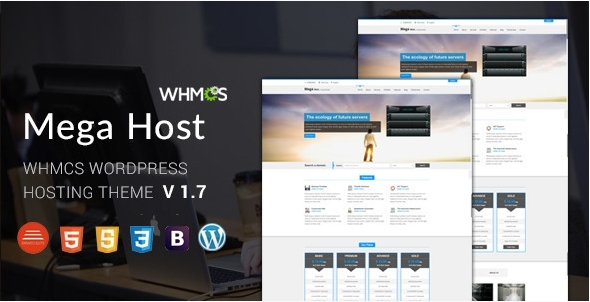 MegaHost is a clean and elegant WordPress template for hosting and corporate. This template can also be used for business websites, portfolios and blog. 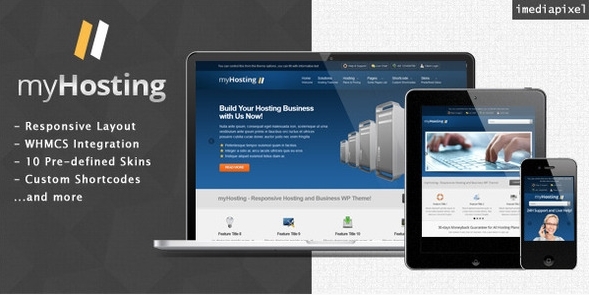 myHosting is responsive hosting WordPress theme that can be switched as hosting base and business theme, suitable for any desktop and mobile devices. 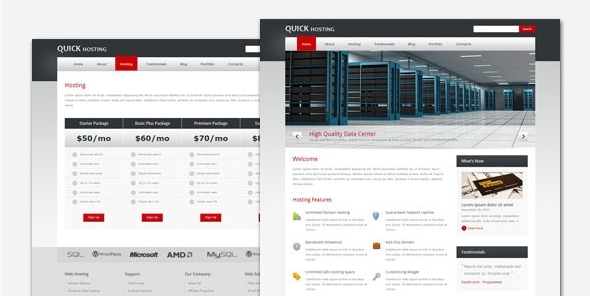 QuickHost is a clean, modern and web 2.0 wordpress theme suitable for web hosting company website.